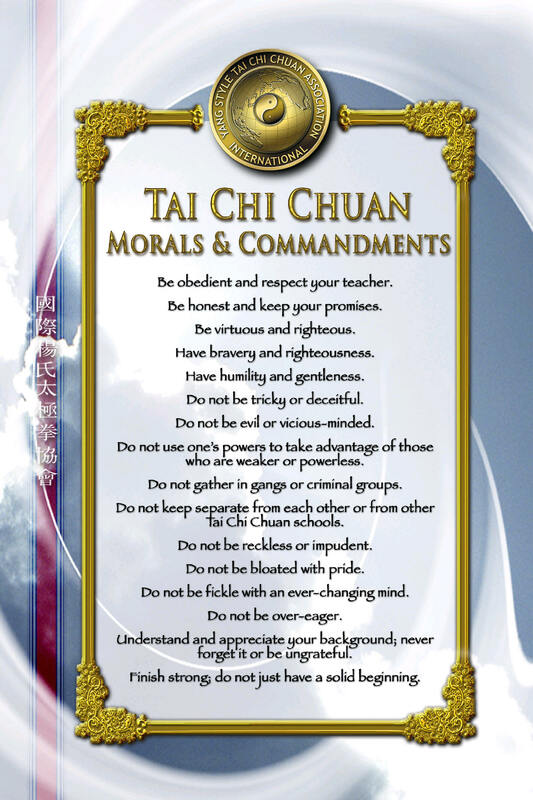 Yang Chengfu’s Ten Essentials insured that the practice of Tai Chi Chuan would improve people’s health. It is impossible to overstate the importance of these Ten Essentials in identifying the elements that make Tai Chi Chuan a healthful practice. Without the Ten Essentials, it is doubtful that Tai Chi Chuan would be recognized allover the world as a unique exercise system that offers special benefits to those who practice it. Yang Zhao Xiong was born in 1862 and died in 1930. Also named Meng Xiang, and later called Shao Hou, most just called him “Mr. Big”. From very young he studied with his father and his uncle. He learned the greater part of his skill from Ban Hou. His nature was forceful and he would stand up for injustices suffered by others. Shao Hou enjoyed sending people flying, rather like his uncle’s style. When he was young he taught the middle frame established by his father, but later changed direction. He developed a form that was high with small movements done in a sometimes slow and sometimes sudden manner. His releasing of energy (fajin) was hard and crisp, accompanied with sudden sounds. The spirit from his eyes would shoot out in all directions, flashing like lightning. Combined with a sneer, a sinister laugh, and the sounds of “Heng!” and “Ha!”, his imposing manner was quite threatening. Shao Hou taught students to strike quickly after coming into contact with the opponent, wearing expressions from the full spectrum of emotions when he taught them.